Smartphones are everywhere. Mobile payments and location-based services are already drawing people to take out their phones while they're out and about, and QR codes are another way your business can connect to customers through their smartphones. QR codes are easy to generate and provide a great way to convey information directly from the real world to the digital world. Here's how to put them to work for your business. A link to Business Center as a QR code, created with bit.ly. Originally created by a Toyota subsidiary in Japan to track car parts, the QR code is designed for fast decoding. 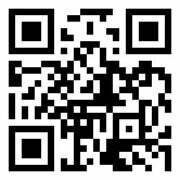 QR codes can carry text like URLs, vCard contact information, URIs to send metadata to apps, or a link to compose a text or email message. You can read these codes via the camera on a smartphone in combination with special apps. On Android phones, the apps Barcode Scanner and Google Goggles (both available for free in the Android market) will translate the QR codes into links that take you to websites, maps, social tools, contact information, links to downloads, or other things linked in the code. Scanners for the iPhone include QR Scanner, QR Reader, and Scan (QR Reader is $2; the others are free in the iTunes App Store). Many shopping apps that scan barcodes will scan QR codes as well. Barcode Scanner can decode a QR code of vCard contact information. So how do you go about making and displaying QR codes that your customers can easily scan and use? The URL shortening service, bit.ly, will generate a QR code for your URL to go with the shortened link. Barcode Scanner and QR Driod on Android phones not only read QR codes, but can generate QR codes for applications, bookmarks, contacts, and other things. You can then share that QR code via email, Google Docs, Dropbox, Evernote, Google+, Text Message, and many more. Optiscan will do the same for iPhones ($2 in the App Store). To take things to the next level, sites like qrstuff.com offer analytics to track the use of your codes, or can put that code on products such as T-shirts, hats, coffee mugs, and even chocolate. A new art project celled QR-3D is cataloging QR codes woven into clothing and other textiles. A QR code on an open-house sign links to a video tour of the property. Some recent places I've seen QR codes in the wild include a business card (linked to a website), the tarantula exhibit at the San Francisco Zoo (linked to Web pages with more information), and an open-house sign (linked to a YouTube video tour of the property). Many local businesses have them in their windows pointing to websites, hours of operation, or menus for restaurants. There is even an experiment in South Korea allowing customers to shop for groceries with QR codes. The mobile space is a hot place to build your brand, and with more and more people carrying and actively using their smartphones while out and about, QR codes are a great tool to reach out to those customers in new and interesting ways. Stay tuned to the PCWorld Business Center to learn more on how to leverage mobile tools to get the word out about your business.